I was born in 1951 and my older sister taught me to read when I was very young. I have always been more attuned to changes taking place through reading and music and the creative arts. Newspapers, radio, television, movies and mass media are generally not good measures of change… because they are illusions. The most significant changes which have taken place in this nation and in others come from a variety of sources and efforts. The statement that politicans “cannot or do not change the nation” is an interesting philosophy, but simply not true. History speaks volumes. In terms of real power and actual priorities, no leader on the planet has as much effect on our daily lives as the president of the United States. It is easy to say this is false, but history is a witness. Organizing , educating and agitating are the sources of real change… sometimes that change is the leader of the nation, other times it is attitudes, opinions, actions and making better choices. Bernie Sanders is a phony. He has a real record in the congressional record. Regardless of what he says, we know what he does. He votes to support American and Israeli aggression. He also votes for reductions in civil liberties, dozens of unnecessary wars of choice and is a proactive supporter of military profiteering costing trillions and killing millions. In spite of Sanders’ famous bad temper, he can be charismatic and talks a good game about economic change and equity, but that is not how he votes. He votes like a tired old conservative who believes that wars for profit are a reasonable and necessary part of our economic base. And he is dead wrong. If Bernie were president, we would suffer because of his “leadership” because he only intends to become another war-tender. And the Reagan, Bush, Clinton, Bush, Obama agenda of violent aggression for corporate profit would continue unabated. Bernie the Bomber, Hillary the Hawk, Donald the Dingbat, and Jeb the Bush… offer no plan, vision or useful ideas for this nation. All four have records which identify them as conservatives. Truth-telling is not an attack, it is a political necessity, tactical priority and the base for any change which may occur. Speaking the truth is powerful and necessary today. of politicians, profiteers and corporate-raiders run the nation…spending trillions and murdering millions for the corporate bottom line. As long as we allow this to continue, we cannot rebuild infrastructure, provide universal heathcare, secure the peace or build a future for our children, families and communities. The cure is courage. Fear-mongering is an excuse, not a reason. If we want real change next November and beyond, we must continue our struggle with words, ideas, music and arts… and these political and human struggles must occur in the streets, in marches, at rallies and during revolutionary acts in our homes, lives, and in the voting booth. “Settling” for lesser evils is a real bad idea. Especially when we have been presented with a greater good which remains within our grasp. We can bring a Green revolution of ideas, principles and actions into the streets, to the White House, into congress and allow this to sweep across the nation and turn the ship of state. Wars for profit are not sustainable and as long as Bernie, Hillary, Donald and Jeb continue flogging that dead horse… we are dead in the water. The Millionaire’s Glee Club must not prevail. But change is in our hands. Dr. Jill Stein does not offer plattitudes or empty promises. can move from exporting terror, munitons and war to the export of knowledge, technology and peace… is to face facts and stop pretending. And victory is within our grasp. There are two ongoing lawsuits which could change this nation. When the League of women voters ran the critical discussion of our national debates, we were able to hear everyone and discuss real issues. Since a biased private corporation took over the show, we hear only what they want us to hear and talk about little or nothing which is vital to our lives and well-being. 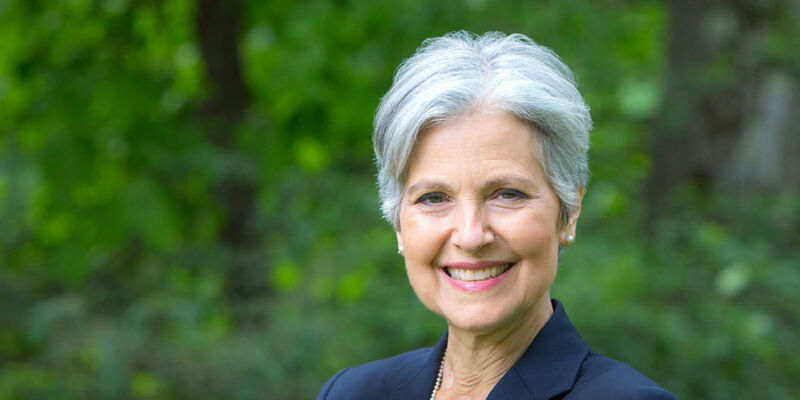 When these trials are over and Dr. Stein emerges as a part of these debates, we will have three choices next November. We can choose wars for profit with Republicans who boast or Democrats who lie about rank treason. Or we can have brilliance, revolution and truth which can prevail. If we find the courage to vote our values instead of surrendering the game, we will not have to compromise our principals or suffer though eight more years of tragedy. If the 40 million students whose debt will be erased, and the 31 million Americans who will receive universal nonprofit healthcare, and the untold millions of Americans who can profit from ending 27 corporate wars, regulating the banksters and rebuilding the nation… can join together in an act of mass civil disobedience, we can take back the nation and begin building foundations for a world no longer at war to feed cons, profiteers and criminals. Surrender is not a tactic. The struggle continues and we must organize, educate and agitate for real and effective social justice and human victories of the heart. We do not have to take it anymore. We can refuse by finding the courage to stand firm. We have only yet begun the fight. We must serve the greater good by standing up and fighting back… instead of surrendering to the same avoidable disasters we have suffered for 36 long and bloody years.